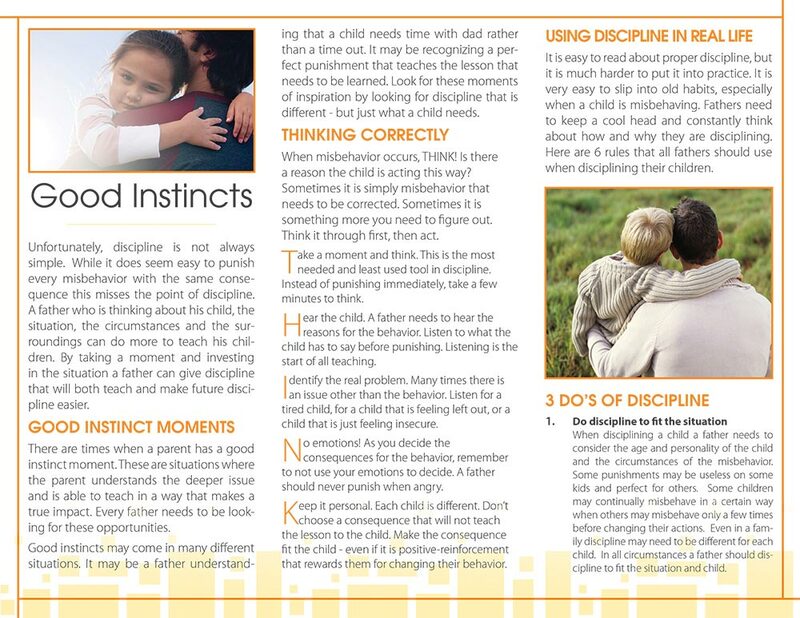 Description: This brochure combines good advice concerning the why and how of discipline with a helpful acronym for the thoughtful Dad to use as a reminder. 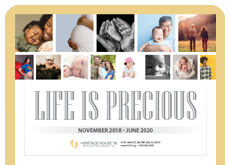 “THINK” stands for: Take a moment and think; Hear the child; Identify the real problem; No emotions; and Keep it personal. 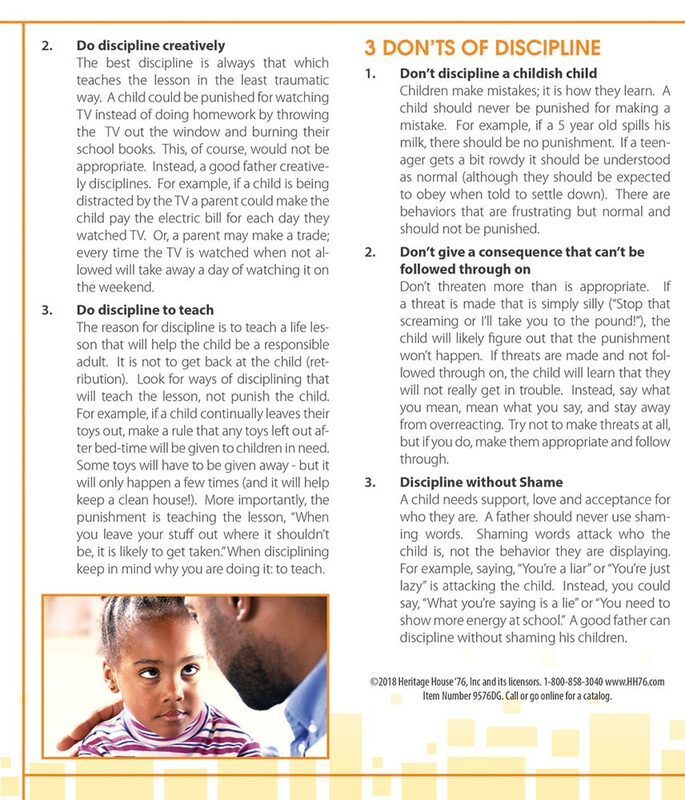 Suggestions here include: discipline to fit the situation; discipline creatively; discipline to teach; don’t discipline “normal” behaviors; don’t make threats; don’t shame your child with degrading accusations (find a positive way to express your concern). Good tool for dads - bright photos, not too many words, use of acrostic makes it user friendly, important practical information.